At first sign of symptoms: Adults and children 4 years and older: 1 tablet every ½ to 1 hour until symptoms lessen, then continue with standard dosage. Do not exceed 12 tablets in 24 hours. 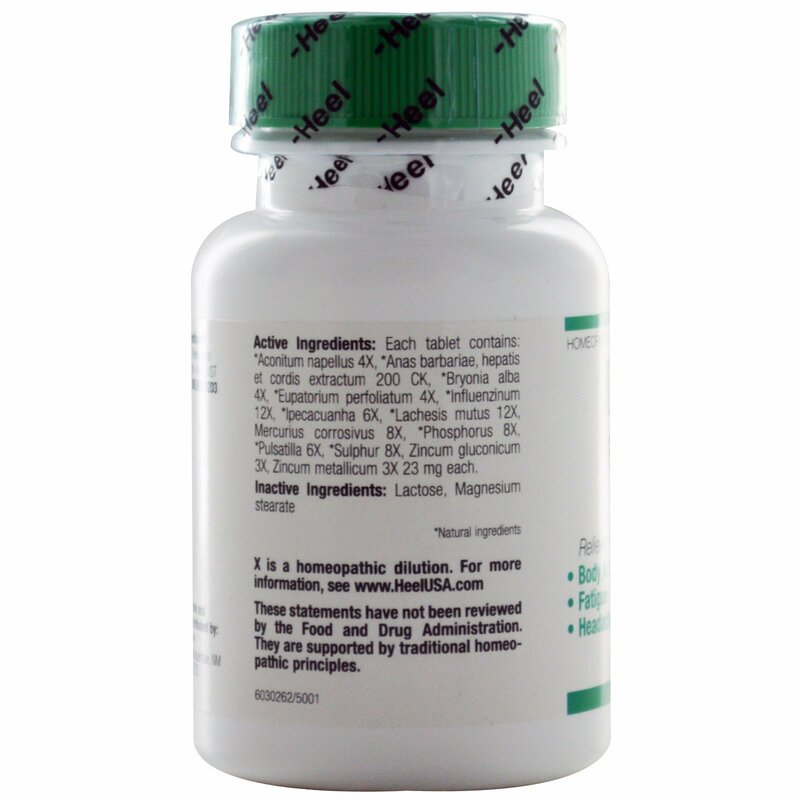 Each tablet contains: *Aconitum napellus 4X, *anas barbariae, hepatis et cordis extractum 200 CK, *bryonia alba 4X, *eupatorium perfoliatum 4X, *influenzinum 12X, *ipecacuanha 6X, *lachesis mutus 12X, mercurius corrosivus 8X, *phosphorus 8X, *pulsatilla 6X, *sulfur 8X, zincum gluconicum 3X, zincum metallicum 3X 23 mg each. If pregnant or breast-feeding, ask a health professional before use. Keep out of reach of children. If symptoms persist or worsen, a healthcare professional should be consulted. 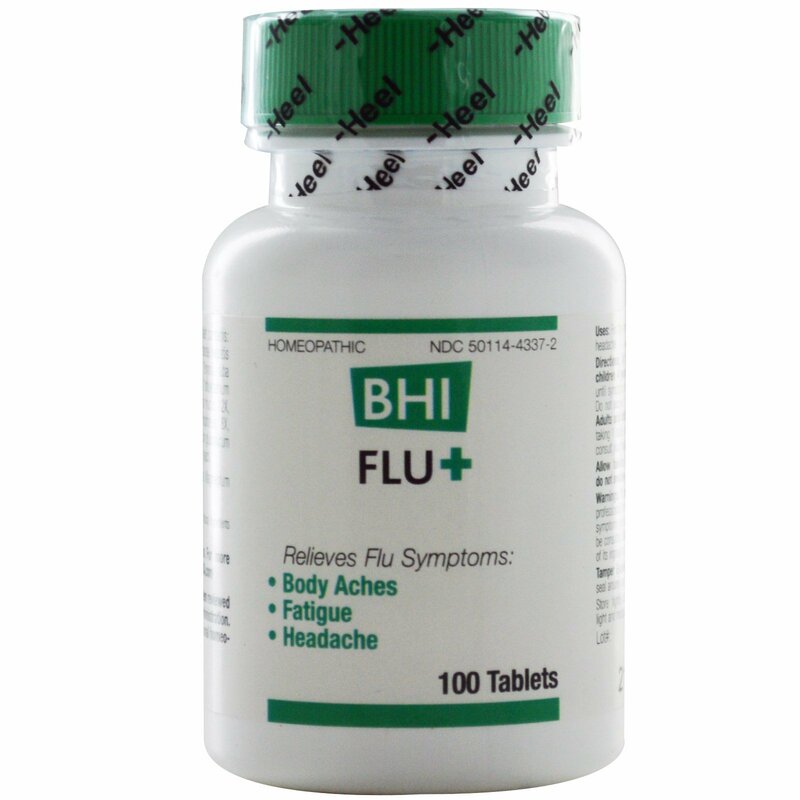 Do not use if known sensitivity to FLU+ or any of its ingredients exists.